Apple has just released iOS 8.4 for all iOS 8 supported devices and it is now available for download through OTA and iTunes update. The software update mainly focuses on bringing Apple’s new in-house music services to the users while also bringing a major redesign for the stock Music application. 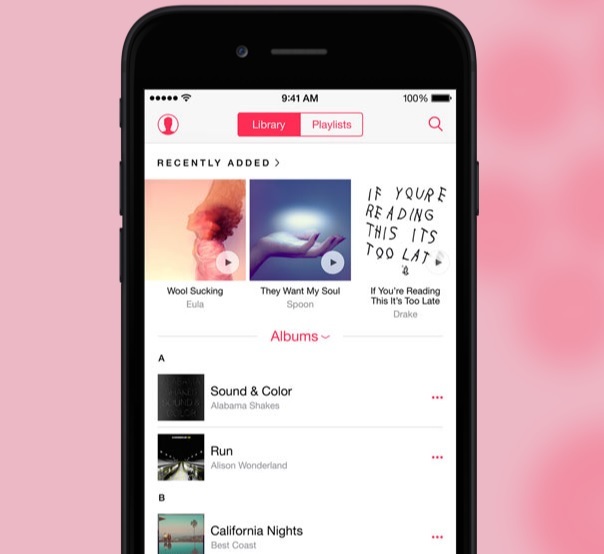 Apple Music, which is Apple’s new music streaming service has been integrated within the new Music application. The app features a dedicated icon for the service. In addition to that Apple has also launched the Beats 1 service that will bring company’s 24/7 live radio station to all iOS users. While iOS 8.4 is a music centric update it also brings some other minor features to the operating system such as audiobook playback will now move to the iBooks app, which will also support CarPlay. A number of bug fixes have also been introduced in this update, most notably the one dubbed as ‘ineffective power’, which caused an iOS device to crash when a special string of text was sent through the Messages app. Apple Music that has now officially launched will be available to all iOS 8.4 users to free. The free trial period will continue for next three months, after which the serivce will cost $9.99 per month. You can download the iOS 8.4 update using the direct download links below. Alternatively, you can either go to the Settings > About > Software Update or connect your device to iTunes in order to upgrade.